Generally cold and snowy. Good period to taste real eastern winter with deep snow cover. Numerous invasion species as Waxwings/Redpolls/Snow Buntings occur in countryside. Wandering Eagles - White-tailed and Golden possible, Rough-legged Buzzard usually common. Passage of Shore Larks and first spring migrants - Lapwings, Sky Larks. Start of Eagle Owl and other owls activity. 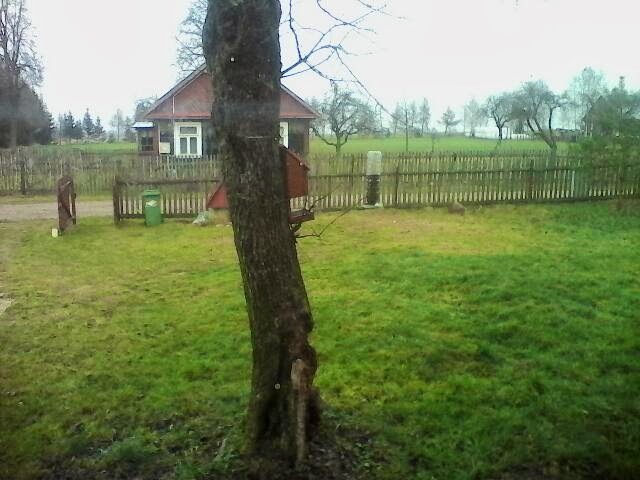 Good month for Woodpeckers, including White-backed and Three-toed (Bialowieza Forest). Waterfowl migration is on the move in Biebrza and Narew Valleys. Thousands of geese and swans stop here for feeding during migration. Some late winter birds still remain here: Rough-legged Buzzard, Waxwing, Redpoll. Owls start their activity - Tengmalm at nights with calm weather, Pygmy durign warmer evenings. Migration month with still thousands of Geese and first Ruff arriving. Woodpeckers and Owls active in forests. Most popular month for visiting. The weather may be surprisingly hot, but also sometimes rainy. Thousands of passing Ruffs, Terns in river Valleys. Good time to watch Woodpeckers feeding youngs - White-Backed, Middle Spotted, Syrian. Late migrants arrive - Aquatic Warbler at the beginning of May, Marsh Warbler after half of the month. Late afternoon or evening are very good for those species. Marsh Terns numerous - start nesting and are present in many places. Good month for Warblers: Barred, Greenish, Blyth's Reed and more common ones: Aquatic, Savi's, River and Grasshopper. Quite hot (20-30 C) and sometimes rainy month, though with numerous breeding birds active while feeding youngs. Warblers still singing, Terns feeding chicks. In the middle of the month groups of Storks and Cranes start moving southwards. Flocks reaching hundreds of birds start early morning from roosts and search for strong currents taking them further on the migration route. Shorebirds also show up in wet places eg muddy edges of fish-ponds or riversides (Biebrza/Narew) or lakes (Siemianowka Reservoir). In forests in the second half of the month owls start their autumnal activity (Pygmy, Tengmalms). Raptor migration - Eagles (Lesser Spotted) and other raptors (Osprey, Honey Buzzard) start flying south. They pass over river valleys and reservoirs and may be easily observed, sometimes in small groups. Siemianowka Lake hosts various waders including rarities like Marsh Sandpiper or Broad-billed Sandpiper. On cold nights first Red Deer start hooting, accompanied by dawn whistling of Pygmy Owls. Big flocks of Cranes may gather in Biebrza Marshes at their stopovers. First frosts come in this month and trees become yellow-red. Still rather sunny, without rainy weeks. Tundra migrants arrive - Rough-legged Buzzards, Waxwings, Shore Larks. Raptors passing - Buzzards, Merlin, Hen Harrier. Most of the trees already without leaves, flocks of Waxwings numerous in towns and villages. Wintering raptors roam in Biebrza and Siemianowka - White-tailed Eagles, Rough-legged Buzzards, Hen Harriers. Usually snowy and quite cold. Temperatures below zero, sometimes down to -20 C. Most of the lakes and rivers covered with ice. Numerous winter visitors include Rough-legged Buzzard (common), Waxwing (common), Golden Eagle (singles, increasing). Northern rarities possible: Snowy Owl (large marshes ans meadows), Hawk Owl. Good period to watch wild Bisons which leave forests and wander in the fields. The trail leads from the edge of the forest west of Bialowieza village to the Bison's enclosure located by the main road to Hajnowka. The trails runs trough alderwood and some wet spruce forest and requires sometimes better shoes to walk. Several woodpeckers breed here (Three-toed, White-backed, Middle Spotted), Hazelhen possible in more "mossy" part of the trail. Neighbourhood of the encolsure also surprisingly good for woodpeckers, including also Grey-headed. As a continuation (back to Bialowieza from the enclosure) of "Zebra Zubra" you may choose wooden trail through oak-hornbeam forest leading E from the corner of the parking lot near the enclosure. Good numbers of old oaks and other broad leaved trees speak for themselves. Nutcracker, White-backed Woodpecker, Middle Spotted Woodpeckers possible. From Warsaw 250-300 km depending on the chosen road. Usually plan 3-4 hours for driving. Numerous hotels including highest standards ("Zubrowka" Best Western) and cosy pensions like "Unikat", "Wejmutka" or "Ostoja". Pygmy Owl is quite abundant though elusive bird staying in older parts of the forest, often by with spruces and pines. Active mostly at dusk. In the spring time its activity starts as early as February and ends in Late May. August till October is a period of autumnal activity. It reacts well at whistling and may be easily attracted though bear in mind that birds dont like this to often! Pygmy Owls prefer mixed old forest with good amount of spruce as well as nieghbourhood of some streams. Three-toed Woodpecker - breeding in wet stands with dead wood, especially spruce. Late breeder - youngsters leave the holes late June. Often very approachable, rather quiet. One of the largest Polish Reservoir was created in late 80s. It is located right at the border with Belarus, in the valley of Narew River. There is a railway dam in the middle of Reservoir which is accesible with cars and excellent for birdwatching. Eastern part of the reservoir is shallow and covered largely with sedge and reed. Numerous terns, grebes, gulls, passerines have their breeding grounds here. Eastern vast “marshes” also host numerous raptors – White-tailed Eagle (regular), Lesser Spotted Eagle (regular), Osprey, Spotted Eagle, Short-toed Eagle (summer), Red-footed Falcon (summer) and others. How to get there? After passing small pump station south of Cisowka Village follow small bumpy road to the east and get to the corner of the forest by the railway. From here on you may either drive or walk along the dam till the bridge (it’s not possible to pass it with the car!) Western part of the reservoir is deeper and usually occupied by fishermen. The dam in Bondary and southern steep bank near Tarnopol are worth visiting during autumn migration (divers, diving ducks). Fish ponds near Bachury (NE) are connected with reservoir and depending on water level create nice conditions for terns, waders and gulls. Citrine Wagtail – several pairs breeding since 90s. Recently mostly around Babia Gora (SE). Eagle Owl – two or three pairs occur in eastern part of the lake. Active in spring and early autumn at dusk. Great White Egret – regular and almost all-year bird.